Rich tributes were paid to late Khawaja Rizwan Ahmed, Deputy Commissioner, Inland Revenue Department of Azad Jammu Kashmir, at a condolence reference here on Saturday, in acknowledgement of his meritorious brief life-time services setting the example of exceptional dedication, sincerity and honesty till he breathed his last. The condolence reference to pay glorious tributes to the legendary late officer Khawaja Rizwan Ahmed was arranged by the Department of Inland Revenue of AJK in recognition of his brief but comprehensive and fair service to the nation and the country through his exceptional high intellect under the fold of the State Inland Revenue Department of Azad Jammu Kashmir Council. Late IR Deputy Commissioner Khawaja Rizwan Ahmed had breathed his last at the quite young age of 32 following cardiac arrest on April 20 this year reportedly following heavily overwork, dedication and commitment to his office. Commissioner Income Tax (Provincial taxes of AJK Ch. 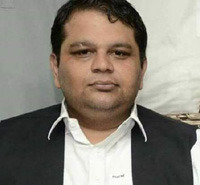 Asim Shoukat chaired the ceremony, largely attended by senior and subordinate officials of the Inland Revenue Department of AJK, senior officials of Mirpur Division and district administration and the city elite including academicians, members of the business community, journalists, lawyers and others. Prominent among others who attended the condolence reference included Prof. Mahmood ul Hassan of Electrical Engineering Department of Mirpur University of Science & Technology, Superintendent Income Tax (Inland Revenue Dept) Mirza Luqman Jiraal, Acting Divisional Director PID AJK Javeid Ahmed Malik. Paying rich tributes to the great departed officer, speakers including Commissioner Mirpur division Muhammad Tayyeb, Additional Commissioner IR Dr. Farooq Jamil, Registrar Mirpur University of Science & Technology MUST (teacher of late Kh. Rizwan) Prof. Engr. Muhammad Waris Jaraal, Prof. Khawaja Zaffar Mahmood Bandey (brother of late Rizwan), President AJKCCI Ch. Muhammad Murtaza, Deputy Commissioner Inland Revenue Mirpur Mahmood Alam, Deputy Commissioners of IR from Kotli and Bhimbher districts Syed Ali Asghar Bukhari and Syed Ansar Ali respectively, Deputy Superintendent Attique ur Rehman, Inspector IR Ch. Tariq Deputy Superintendent Attique ur Rehman and others said that best way to pay glorious tributes to late Khawaja Rizwan Ahmed is to follow his foot prints enriched with excellent code of life for serving the nation and the country. Speakers said that extremely honest, committed life with full dedication to his assignments during his brief civil service period spreading about six years after joining as Assistant Commissioner Inland Revenue through successfully qualifying 38th Common Training Program (CTP) Course of FPSC, Rizwan spent whole of his service period fairly with full sense of duty with prime focus to benefit the nation and the country under the spirit of the parameters set by the government. 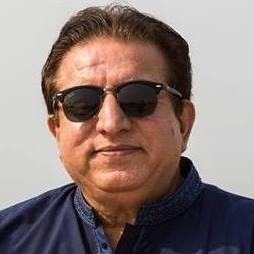 “The fair and honest service style of late Khawaja Rizwan is the essence of intelligentsia, truth, honesty, commitment and dedication for all other officials of the Department besides other government institutions of Azad Jammu Kashmir”, they said. Speaking on this occasion Divisional Commissioner Muhammad Tayyeb said that late Kh. Rizwan emerged as the most capable, honest and true professional officer of the State Inland Revenue Department following his outstanding professional command, high intellect, dedication and commitment to his office. Tayyeb said that his brief life-time outstanding services of the officer were the sources of inspirations, pride and the beacon light for all the officials in state-run institutions of Azad Jammu Kashmir and Pakistan. “The late officer was fully enriched with all moral values and professional qualities, which would always be remembered”, he underlined. The participants offered fateha for the departed soul on this occasion. They prayed for the rest of the departed soul in eternal peace and grant of fortitude to the bereaved family, the friends as well as the AJK Inland Revenue Department to bear the irreparable loss with courage. Appeal For Help To Ministry of Health Government of Pakistan….